The National Nuclear Security Administration (NNSA) said Friday it has started building the first low-yield, submarine-launched ballistic missile warhead ordered by the Donald Trump administration last year. The W76-2 will be a modified version of the far more powerful W76-1 warhead. The NNSA in December finished a decades-long W76-1 modernization program that cost an estimated $4 billion. The semiautonomous Department of Energy agency says the modernization will keep W76-1 war-ready for another 30 years. The Trump administration ordered W76-2 in its 2018 Nuclear Posture Review, insisting the U.S. needs a low-yield weapon to stop Russia from using similarly powerful nuclear weapons to win a war Moscow starts, but cannot finish, with conventional weapons. The NNSA has said it will convert “a small number” of W76-1 warheads into W76-2 warheads. Congressional Democrats strongly oppose the W76-2, which they say will precipitate an arms race and increases the chances of a conventional conflict escalating into all-out, civilization-ending nuclear war. New House Armed Services Committee Chairman Adam Smith (D-Wash.) has said he will introduce legislative language to ban the W76-2. Smith’s office did not immediately reply to a request for comment. Last year, the GOP-controlled Congress approved $65 million for the W76-2 in 2019. Sen. Dianne Feinstein (D-Calif.), who strongly opposes the weapon, said in April the NNSA needs some $60 million more for the effort in 2020, raising the total cost of W76-2 to a minimum of $125 million. The NNSA spokesperson did not say exactly when work on the first W76-2 production unit started. However, the agency finished the W76-1 life extension program in December, which cleared up people and equipment to start work on W76-2. The W76-1 marked the first time in the 21st century the Department of Energy mobilized the entire nuclear security enterprise to refurbish a weapon that will be an active part of the U.S. deterrent for the foreseeable future. The NNSA marked the milestone with a nuclear-star-studded event at the Pantex Plant in Amarillo, Texas, which assembles and services all U.S. nuclear weapons. Energy Secretary Rick Perry returned to the state he once governed for the event. Lisa Gordon-Hagerty, the NNSA administrator, joined him on stage to give a prepared speech that was live streamed on Facebook — a social-media first for the agency. In the audience were the directors of all three NNSA nuclear weapons lab, a crowd of Pantex employees, and NNSA civil servants and contractors from around the country. Neither Perry, who dumped his prepared remarks in favor of a freewheeling “thank you” to agency personnel, nor Gordon-Hagerty mentioned W76-2 during their addresses. Gordon-Hagerty said the W76-1 life-extension program was “a pioneer in resurrecting mission essential facilities” for future life-extension programs. The program was finished ahead of schedule and within budget, the NNSA chief added. The Federation of American Scientists, a Washington-based nonprofit, estimated the NNSA modernized more than 1,500 warheads in the W76-1 campaign. The Los Alamos and Sandia National lLaboratories, both in New Mexico, were the lead labs on the W76-1 life extension. 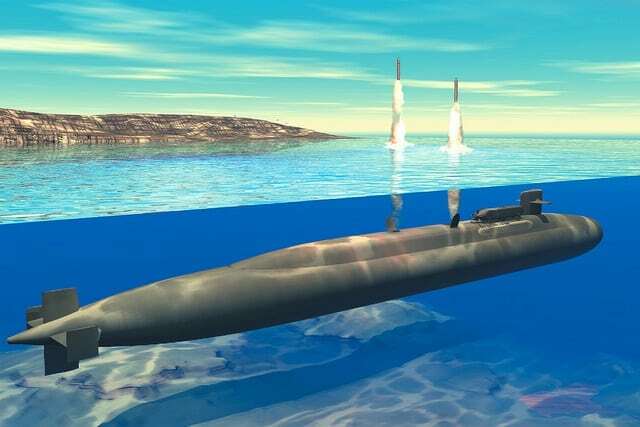 Los Alamos designed the first iteration of the weapon, which tips the Trident II-D5 missiles carried aboard Ohio-class ballistic missile submarines. At Wednesday’s ceremony, both Thomas Mason and Stephen Younger, directors of Los Alamos and Sandia, received awards for their site’s contribution to the decades-long W76-1 program. The NNSA produced the first war-ready W76-1 in 2008 after years of planning that began in 1998. Lawrence Livermore Director William Goldstein also accepted an award Wednesday on behalf of the Livermore, Calif., site that he manages. In its 2019 Stockpile Stewardship and Management Plan, the NNSA said it would finish the final W76-2 around 2024.